...are at home in the water and on the land. 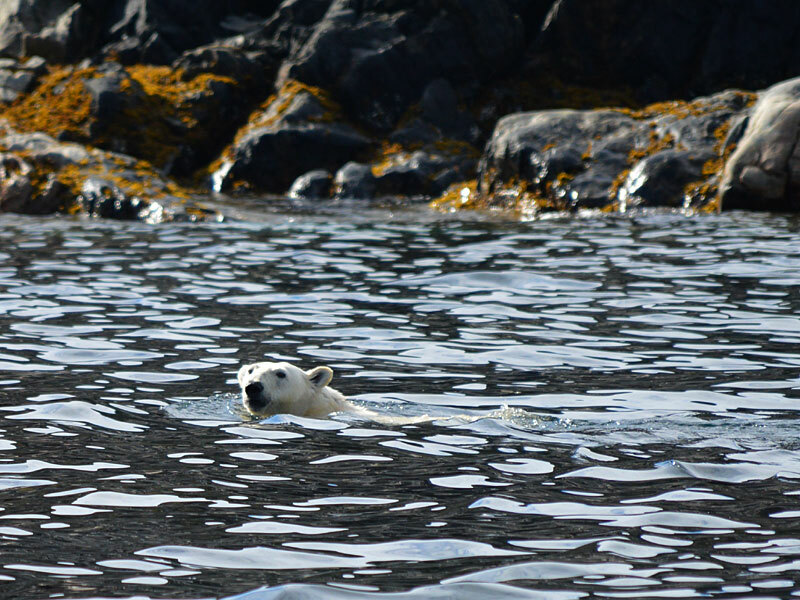 This bear noticed us while he was swimming, and he took a leisurely paddle to shore. 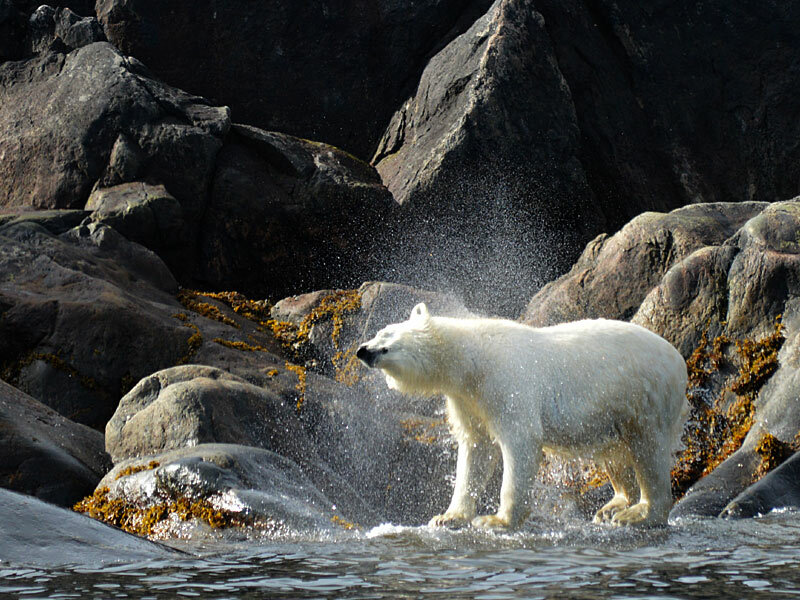 Then he shook off the water that was weighing him down and gracefully trotted off along the rocks. Thanks to Muriel Edmunds for having the right settings on her camera and for sharing the photos.